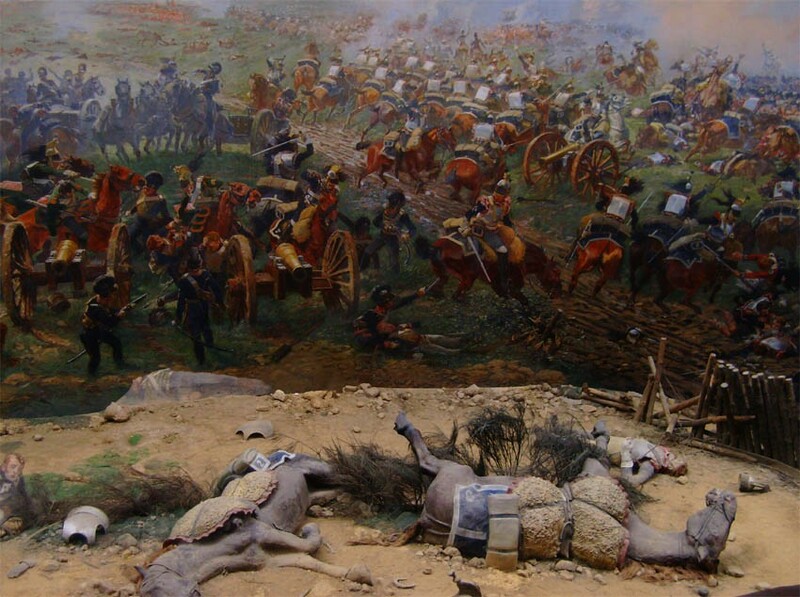 The Waterloo area is mainly known for the Battle of Waterloo where the French emperor Napoleon was finally defeated.The area still has a lot of very interesting memorials, battlefield remains and museums that tell the history of this battle. 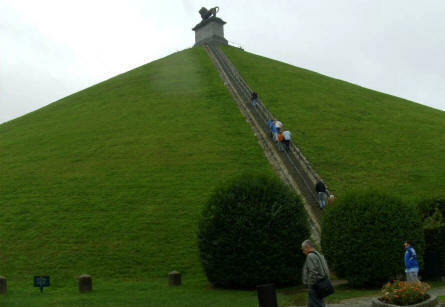 On of the most famous memorials is the Lion's Mound, which is a man-made hill with a huge lion statue at the top. The famous Lion's Mound hill at Waterloo. Build in 1820. 43 meter high and 226 steps from the bottom to the top. 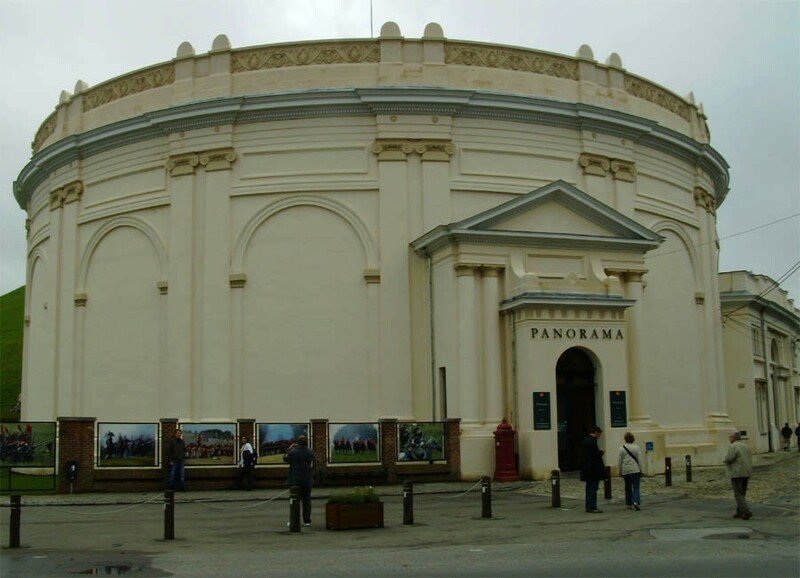 The panorama building at Waterloo. 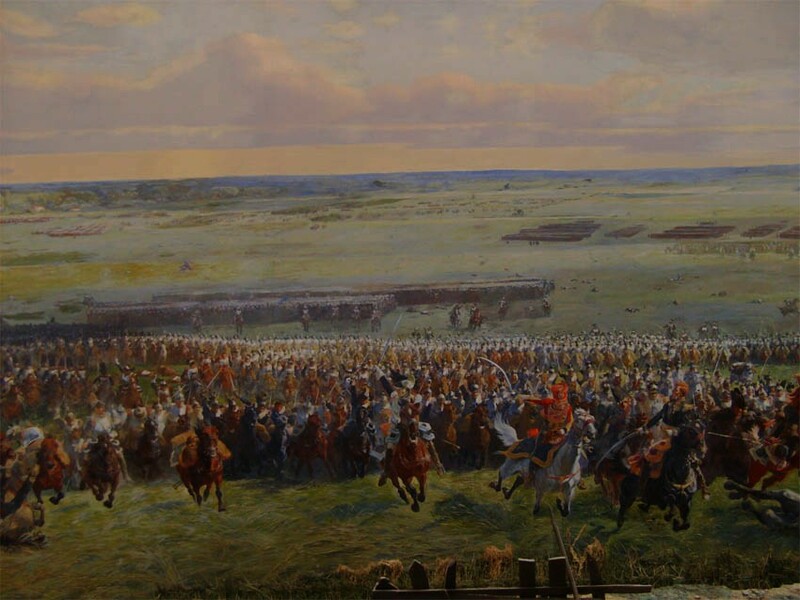 Here you can get a very large and interesting view of the Battle of Waterloo. 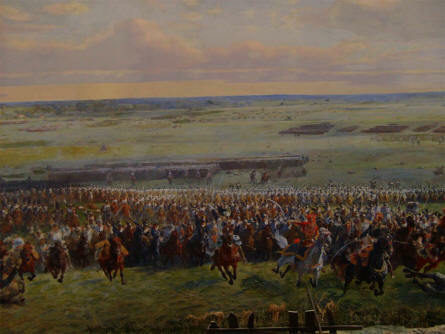 Of of the huge painting in the panorama building at Waterloo. A combination of paintings and full-size "dummies" give a very good effect in the panorama building at Waterloo. 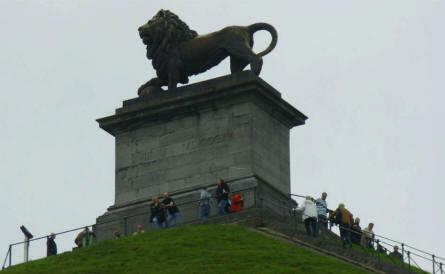 The lion statue at the top of the famous Lion's Mound hill at Waterloo. 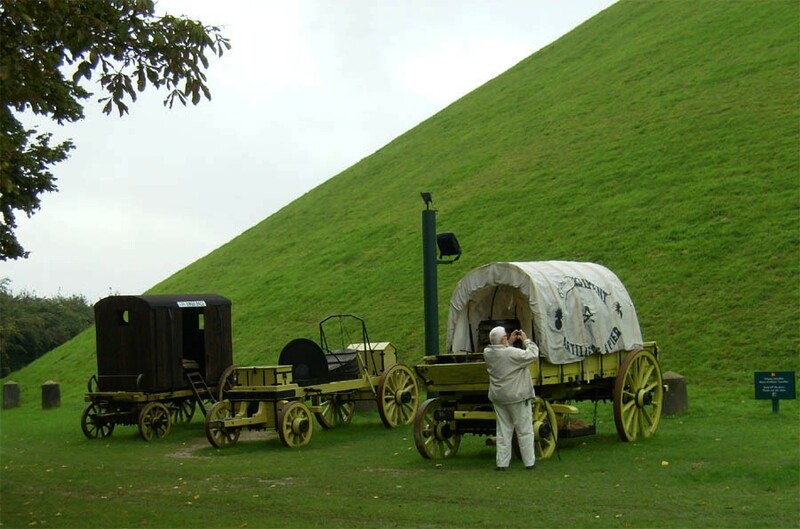 Some "Napoleon War" horse wagons displayed at the foothill of the famous Lion's Mound hill at Waterloo.